Teeth Whitening is an extremely popular treatment at our practice especially as part of another treatment a patient of ours is having. Dental Artistry is patients' choice because the whitening we perform is high quality, monitored by cosmetic dentists, effective with long-lasting results. We provide patients with a safe treatment without damaging the tooth surface and without causing pain. We offer two types of teeth whitening that can give up 5-7 shades lighter teeth. One is at home teeth whitening and the other is at clinic teeth whitening. 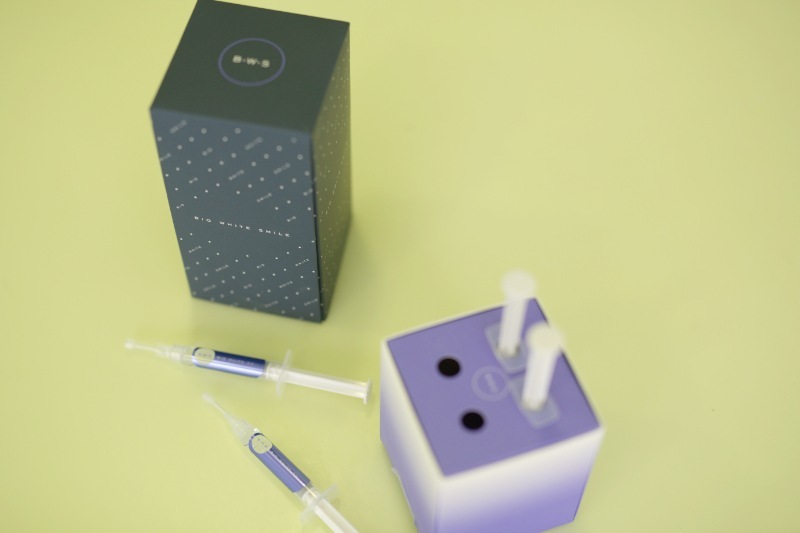 Our patients can choose if they prefer to have just the at-home kit or have both with final whitening boost in the clinic. 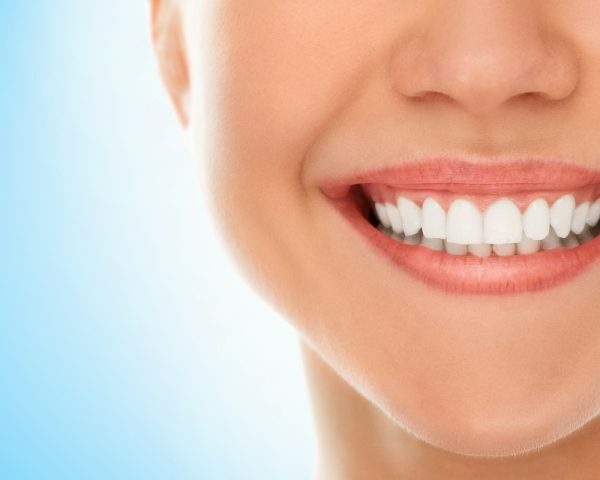 Why patients do teeth whitening? Most regularly patients would choose teeth whitening as a means to simply get whiter teeth. However, often those patients would have a problem with teeth discolouration, darker looking teeth, stained teeth. This can be caused by smoking, drinking red wine, coffee, tea, certain herbs and spices, medications and even some mouthwashes. In most cosmetic cases we perform such as Veneers, Crowns, Implants, teeth whitening is patients' choice in order to complete a smile-over by matching any new set of veneers/crowns with their natural teeth. 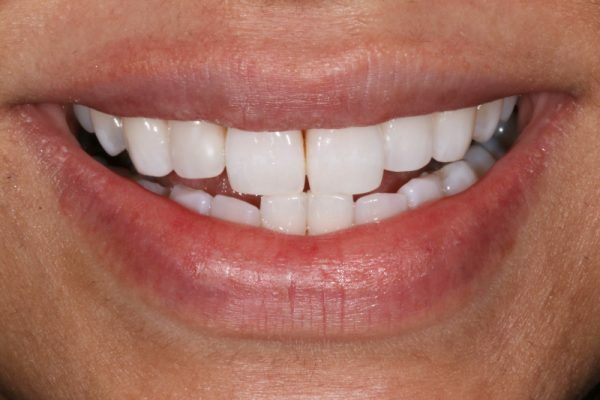 Some patients choose to have Porcelain Veneers entirely instead of teeth whitening, mainly because Porcelain Veneers do not stain like natural teeth. Nearly all of our patients would initially have a hygiene treatment regardless of their whitening treatment of choice. Complete hygiene would remove plaque and stains on your teeth, which is absolutely necessary in order to achieve the best final results. Your teeth whitening process will start with at home whitening kit that includes professional whitening gels and customised whitening trays. You will be guided precisely how to use them by your specialist dentist. If you choose to have at clinic whitening too, you will visit us only two weeks after you have completed the at home treatment. Upon the second and final stage, your dentist will perform whitening treatment with gels and laser. See our patient’s natural and a lot white teeth after at home whitening. 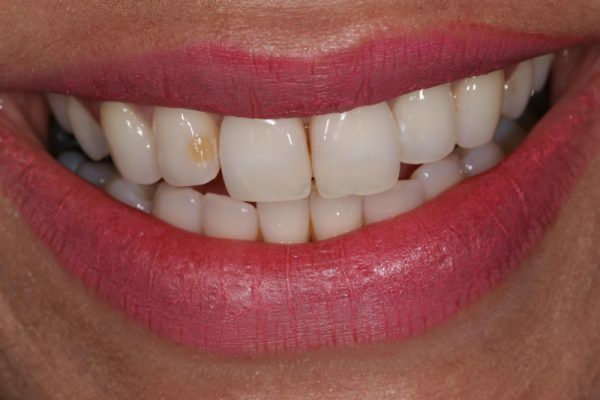 Our patient also had a small composite bonding to correct a deep stain on her second fron tooth.